The title of Adult Swim’s newest mobile game isn’t really surprising. Everyone who’s ever seen Megas XLR should remember that “Chicks dig giant robots.” All cartoon nostalgia aside, Girls Like Robots can be an extremely fun game if you like logic puzzles. It all builds off of the old logic puzzles we did back in school; so and so wants to sit next to this person, but not that person. 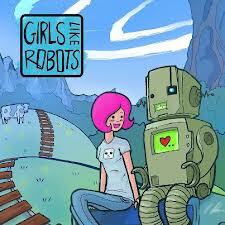 In this case girls like to sit next to robots but not nerds. It’s a simple concept that builds from there. If you couldn’t stand those puzzles you’re probably going to want to save your dollar. If you’ve got a stack of Professor Layton games on your shelf this might be something you want on your phone. 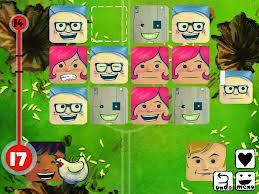 The characters are all done in cute block style that remains all through the game, even the cut scenes. The plot is as strange as you’d expect from Adult Swim. Just passing a puzzle usually isn’t overly difficult, but getting a perfect score on them can have you replaying the same puzzle over and over. If you’re looking for a new time waster on your phone I highly recommend it.